Several years ago, friends visited us while on furlough during missionary service in an area near Siberia in Russia. Over dinner one night, we began asking them all kinds of questions about life in Russia and the greatest challenges they faced in coming back to the States on furlough. I was surprised by their response. Grocery Stores! I was honestly taken aback. What could possibly be wrong with grocery stores? From everything I heard so far, it sounded like obtaining food was a much bigger challenge in Russia than it was stateside. And that was just the issue. Frank went on to share that there are so many choices in the grocery stores in the America that is completely overwhelming to even enter them. It is sensory overload at its best. He felt that it definitely made it more challenging in making choices for what his family would eat. There were more choices in salad dressing in a typical supermarket than in total food items in a Russian market. With the growth in the number of families homeschooling, there has been an incredible surge in the number of subject areas and choices for curriculum and supplemental resources. It is wonderful to have so many choices, but honestly it can make it more difficult. This takes us back to our post from yesterday about goal setting as our starting point. One of the greatest mistakes we make as homeschool moms is to try to pack too much in. This can be for a variety of reasons. Just because something is available does not mean that we have to use it. Just because our neighbor is doing a foreign language curriculum with their 4 year old does not make us a lessor of a parent for not. Just because we want the best for our children does not mean that we have to pile on the subjects. Just as our friend from Russia shared, we can prevent our kids from actually getting overwhelmed and overstimulated. We will have more time to delve deeper and accomplish some real achievements in the areas that we are focussing on. We can prevent Satan from getting a foot hold in producing false guilt over not adding yet more things into our day when we are truly focused on the important things. We can help maintain our stress levels at a more reasonable place which helps to keep emotions in check and respect for one another higher. We will be able to truly take the time to help our children master the important things that they may be struggling with rather than feeling rushed to keep moving on. In keeping our eyes and schedule on the important things, we also make ourselves more available to times when God directs our path to reach out to others or take a day to really invest in our family in other ways beyond the schoolroom. There is great pressure to produce great scholars. But at the end of the day, it is important to remember that we as parents are only one tool that God uses in shaping our children. His plan for them will prevail with us and even at times inspite of us. I leave you with the thought that this momma is so happy that there is One greater than myself that has my children in His hands. For we must not let the educating of our children become our god, but train them to use their education for His glory. 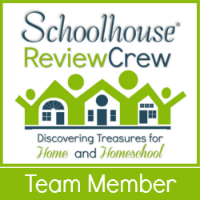 We are glad to be a part of the Back to Homeschool Blog Hop that is being co-sponsored by the Schoolhouse Review Crew and the Homeschool Blogging Connection. Each blogger that is part of the blog hop is writing on different topics. Here is a sample of some of the other bloggers you might want to check out.